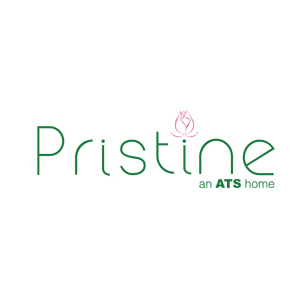 ATS Group of Builders launched its 2nd high-end luxury housing project at sector-150, Noidas real estate hub. The ATS Greens developer is well-known for their product quality and trustworthiness in Delhi NCRs prime residential market. Spacious, elegant homes with extraordinary building design being developed among the pollution-free rich green environment make you live close to nature. Le Grandiose is an eco-friendly concept based project comprising low-density layout and large spread rich greens creating a perfect living environment. Here, each housing unit crafted to provide maximum exposure to the meticulously planned natural landscape. These environment-friendly homes come with open interiors with maximum ventilation/sunlight intake, optimum space utilization plan, and large spacious balconies open towards the eye-soothing green landscape. This project built with cutting-edge technology, earthquake-resistant structure, and Feng-shui inspired building designs. In this premium luxury project, ATS Infrastructure presents a superb display of advanced designing where the physical form and performance entirely in sync with each other. 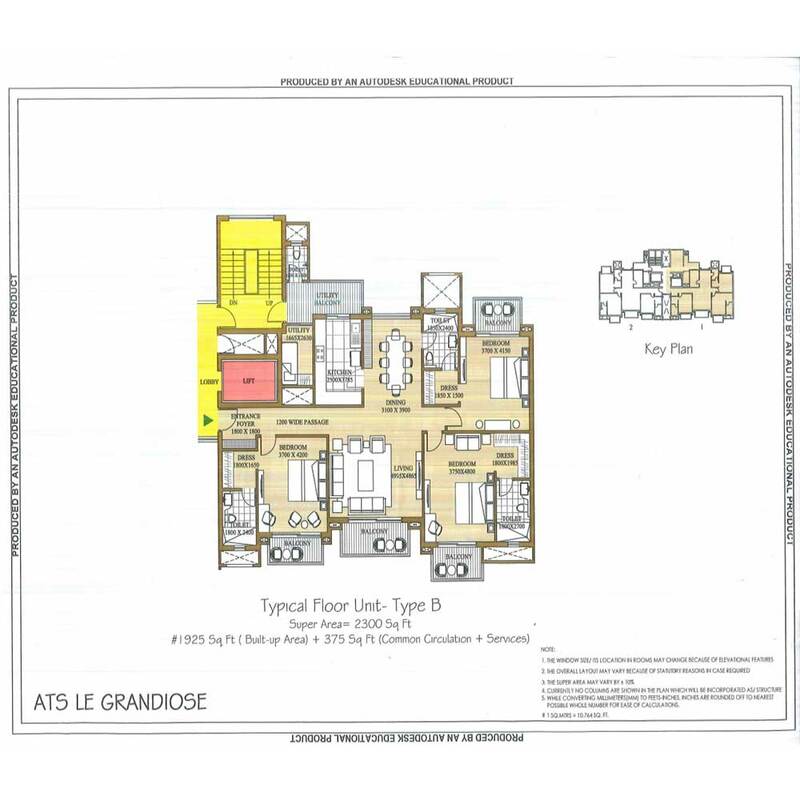 ATS Le Grandiose offers you the magnificent living paradise with a plethora of unmatchable benefits. Here, you can choose from extensively planned 3 BHK and 4 BHK apartments complemented by an array of world-class luxury amenities. It has an excellent list of luxuries consists of outdoor sports infrastructure, fully-equipped fitness center, jogging park, swimming pool, and kids play zone. The provision of well-furnished clubhouse and banquet space facilitate the necessary event space for residents. Besides these, you can avail the luxury of unique specifications such as modern high-speed elevators, 24-hours power supply with backup, continuous water supply, high-end security system, and adequate vehicle parking space. Such a smartly planned residence in strategically important location gives you maximum value for money choice which is hard to find in the market. 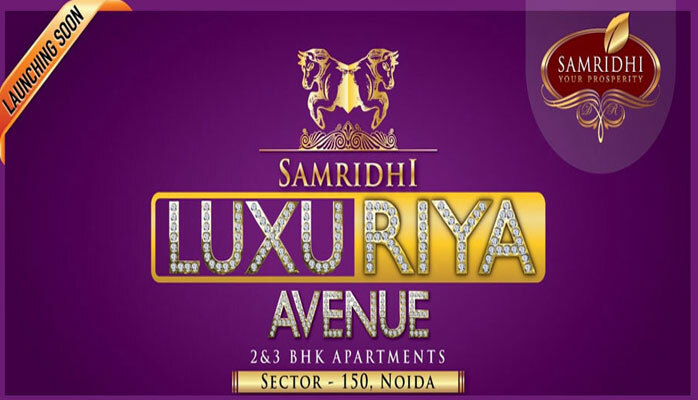 When we talk about the location, Le Grandiose undoubtedly has the one of Delhi NCRs superior real estate destination in the form of Yamuna Expressway. FLOORING : Vitrified tiles flooring in living, dining & lobby. Wooden/Vitrified tiles flooring in bedrooms, vitrified tiles in kitchen, utility room and ceramic tiles in toilets. Staircase & landings to be in marble/kota/terrazzo flooring. Balconies will be in anti-skid ceramic flooring. DADO DADO : Glazed tiles of required height in toilets & 600 mm height above kitchen counter slab in appropriate colour & paint. EXTERIOR : Appropriate finish of exterior grade paint. RAILINGS : All railings will be in MS as per design of the architect. DOORS & WINDOWS : Flush doors-polished/enamel painted; Stainless steel/Brass finished hardware fittings for main door & aluminium power coated hardware fitting and locks of branded makes. Door frames and window panels of seasoned aluminium/UPVC sections. PLUMBING : As per standard practice, all internal plumbing in GI/CPVC/Composite. All external in CI/UPVC. Automated irrigation system. TOILET : Premium sanitary fixtures, premium chrome plated fittings. ELECTRICAL : All electrical wiring in concealed conduits; provision for adequate light & power points. 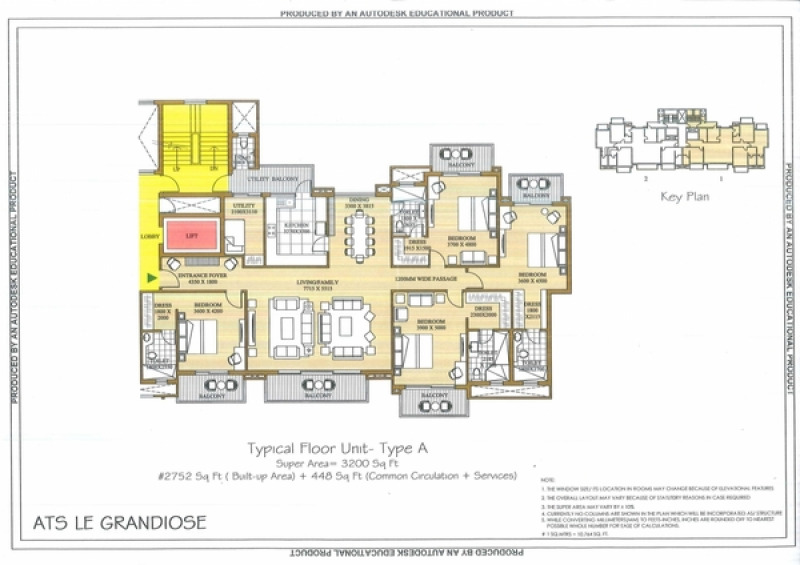 Telephone & TV outlets in drawing, dining and all bedrooms; moulded modular plastic switches & protective MCBs. HVAC Split AC in living room, dining & all bedrooms. 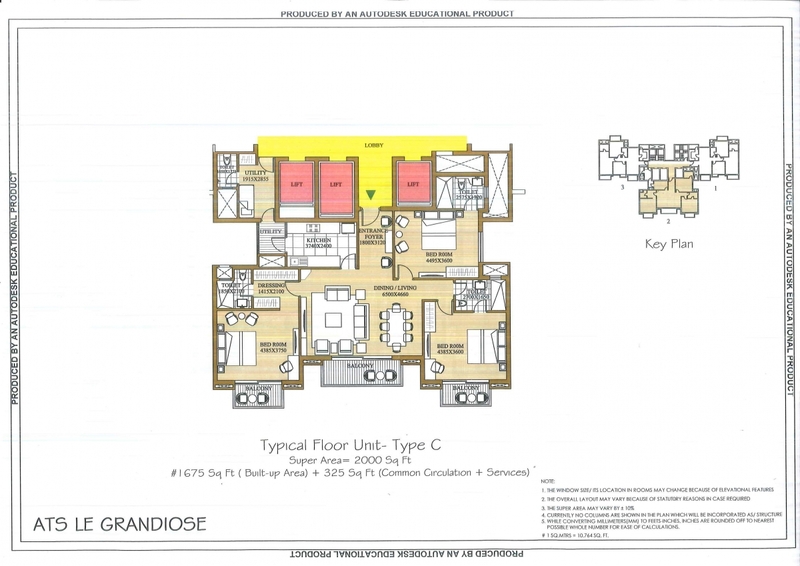 LIFT : Lifts to be provided for access to all habitable floors. CLUBHOUSE & SPORTS FACILITIES : Clubhouse with swimming pool to be provided with his/her change rooms, well equipped gym, indoor & outdoor games areas, multi-purpose hall and jogging track. STRUCTURE : Earthquake resistance RCC framed structure as per applicable seismic zone. CCTV : cameras. fire prevention, suppression, detection & alarm system as per fire norms. 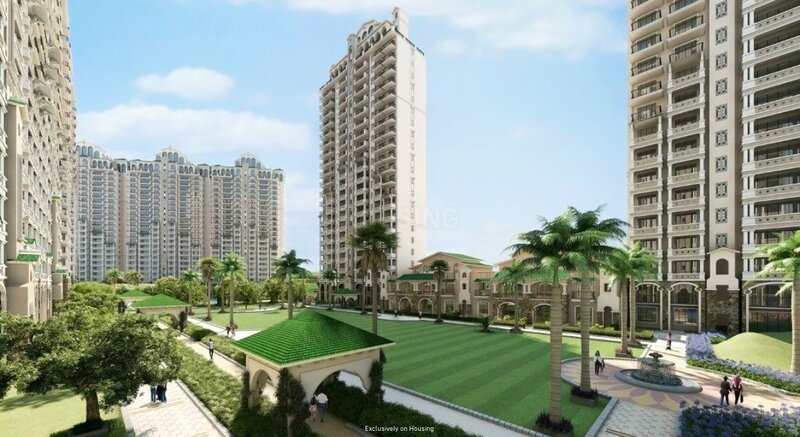 Sector 150 Noida 1137 - 1404 Sq.ft. Sector 150 Noida - Sq.ft. 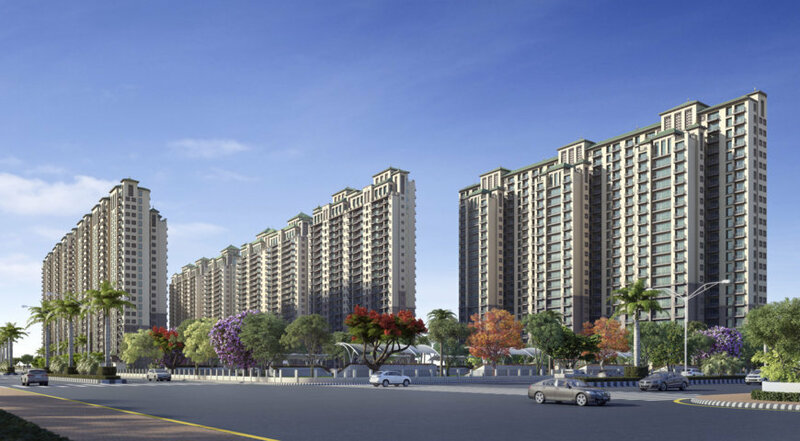 Sector 150 Noida 5750 - 8250 Sq.ft. 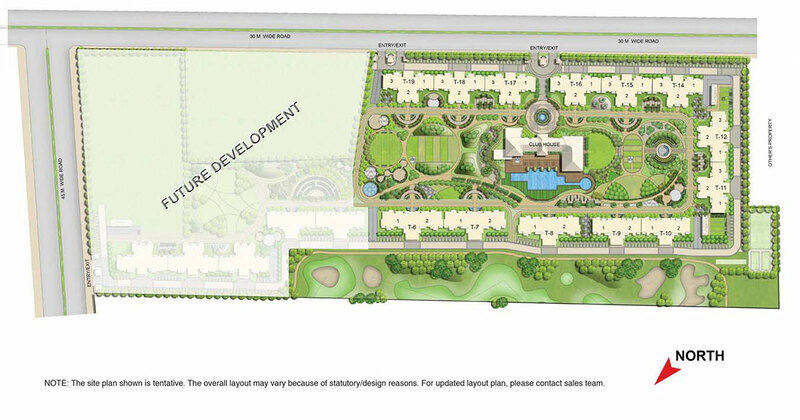 Sector 150 Noida 1825 - 3000 Sq.ft. Sector 150 Noida 1262 - 2200 Sq.ft. Sector 150 Noida 1195 - 2096 Sq.ft. 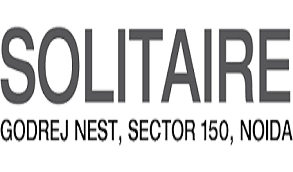 Sector 150 Noida 1100 - 1575 Sq.ft. Sector 150 Noida 1085 - 3220 Sq.ft. 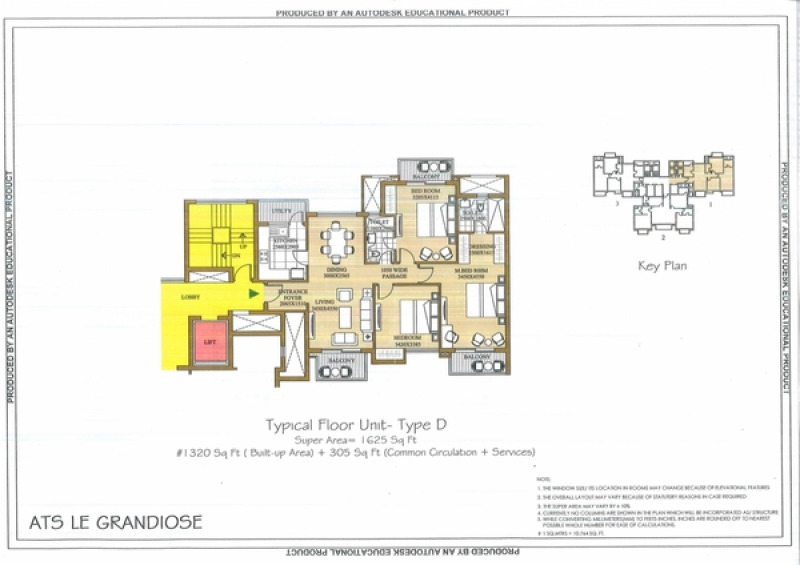 Sector 150 Noida 1165 - 1625 Sq.ft. Sector 150 Noida 1750 - 3200 Sq.ft. Sector 150 Noida 1425 - 3400 Sq.ft.